Learn how to integrate Google API services. Note 1: This service is provided by a third party company. We don’t take any responsibility for any changes in how this service operates or works. Any issue with this service you need to discuss directly to company which provide it. On 8th March we have been informed that this third party integration has stooped working. We are waiting for developer response, if this matter in not solved any time soon we will be looking for alternative solution. Note 2: Important: To make the app automatically sending SMS messages on behalf of you device you need to keep the app in foreground mode (the app you see when you unlock your device). Also when you open the app on your device you need to press “Check Server Now” button to activate auto server check for pending messages. Please ensure you are using the latest version of this app. 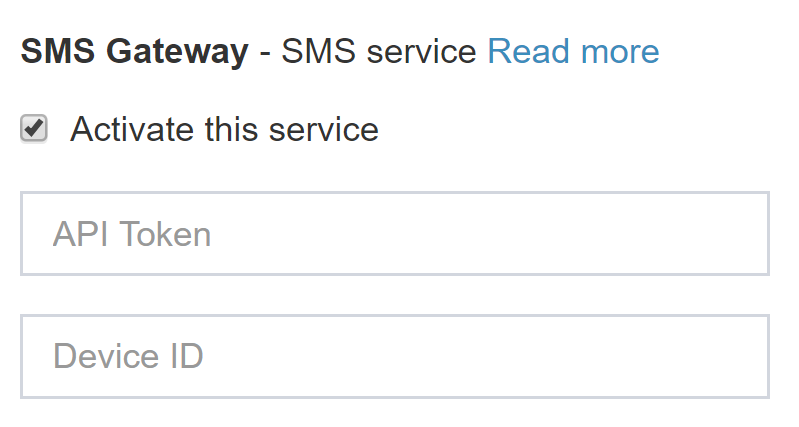 SMS Gateway allows to send SMS messages through your Android phone. This is very cost effective solutions as it uses your mobile contract price plan. Simply speaking if your mobile contract allows you to send unlimited amount of SMS messages then you don’t have to pay for it. Great, isn’t it? In you would like to take an advantage of this service, here is how to integrate it (available from version 3.4.28 or higher). 1. Open a free account with http://smsgateway.me. 2. Download and install their free Android App which will send SMS messages through your mobile. 3. Once you have the app up and running on your mobile, please login to your account and make a note of your Device ID that is displayed at the top of the screen. 4. 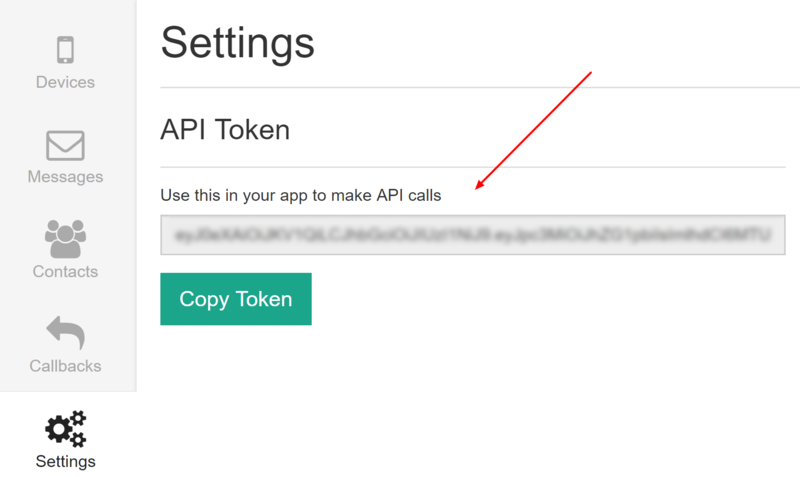 Next go to SMS Gateway website, login and navigate to My Account -> Settings and make a note of API Token that is displayed there. 6. Save configuration and you are ready to go. Please note that the App only send messages when it is in foreground mode, so make sure it is always on.